Supreme Court Justice Johnny Lee Baynes has ordered SUNY to restore servies at LICH to the levels they were at on July 19. Baynes also said he would name an ombudsman for the hospital and added that the armed and unarmed guards SUNY has employed to patrol the grounds must go. RELATED: Semi-Homemade Solution: Is Cuomo Looking For Peace With Honor In #SaveLICH Drama? Twitter was buzzing long into the night with congratulations from patients, staff and representatives who have been working around the clock to keep the hospital open. @Esspring @nynurses @bradlander @StephenLevin33 @Desi30 @BilldeBlasio #savelich YES we Can! Yes we DID! LICH Saves Lives! Thanks all! What great news! Now hopefully a new party can take over the hospital and run it successfully. I was amused to see the judge even ordered that announcements of his decision posted by SUNY must be 36 point, which is a fairly large size type. I’m sure that is because he knew SUNY would try and “comply” by posting an announcement in type so small it couldn’t be read! I am surprised that none of the SUNY a$$es were thrown in jail for contempt. Let’s throw Cuomo under the bus. He is dirty with real estate money, and has to go down and out. Bill de Blasio for Mayor. Bravissimo Supreme Court Justice Johnny Lee Baynes for ordering LICH to restore services that were in place on July 19, 2013. However, since the devil is always in the details, what does that mean? Will LICH be a full-service institution, which includes allowing all departments and the ER to function and also permit ambulances to bring patients to LICH? Unfortunately, as I read the order, it doesn’t rescind the ambulance diversion, which went into effect on June 19, one month before the date that the order makes the benchmark for restored services. Once the ER is fully staffed, all those who rec’d administrative leave letters return(already happening) and SUNY returns and/or repairs all equipment we can work on reversing the ambulance divergence. 1 victory at a time. Join our fight! We beat SUNY & Cuomo at their own game. 12 PM Monday (8/19) — Join Susan Sarandon, Rosie Perez and more at the Rally 4 Hospitals NOT Condos. 7th Avenue & 12th Street, Manhattan. I talked with my NYS representative last week. 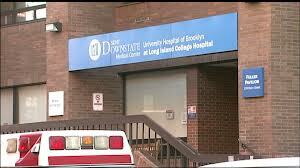 He said the closing of LICH is not from SUNY Downstate or even the SUNY Chancellor. It is from our beloved govenor pulling the strings from Albany. He is the one making all the decesions. Cuomo should be impeached and thrown in prison. Save LICH & Save Interfaith Hospital on WBAI tonight at 7PM. Jill Furillo, Executive Director of the New York State Nurses Association (NYSNA), Maribel Agosto, RN and Ari Moma, RN will be speaking about LICH and Interfaith.